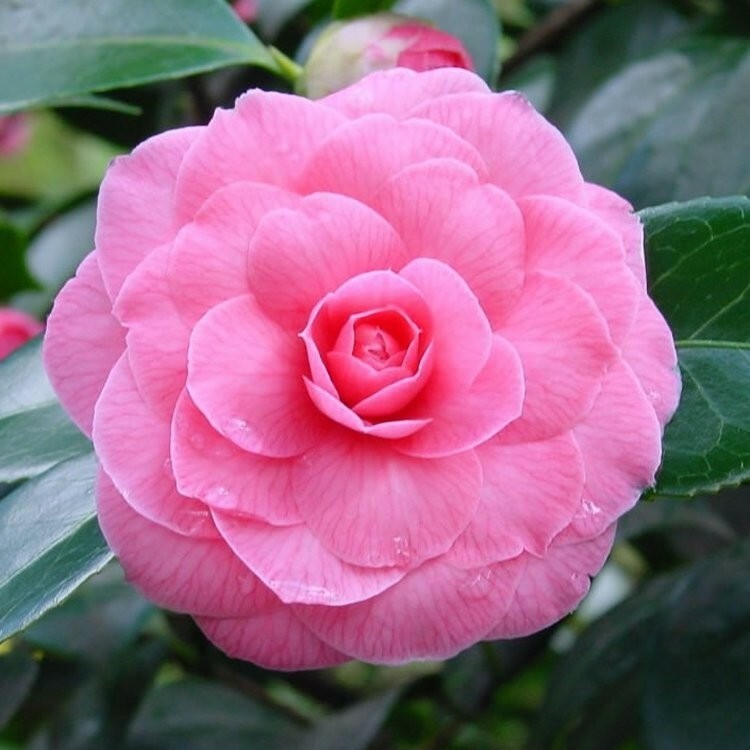 This is an early to mid-season flowering camellia that produces large formal pink blooms among glossy, deep green leaves. This popular, evergreen shrub withstands all but the harshest, most windy conditions - making it perfect for cold areas. Supplied in approx 3.5 litre containers.